Rafael, Our Heavenly Bundle of Joy! I've been up in the clouds getting used to my new role as a mommy to our little angel Rafael. It was a challenging labor (still processing it), but I will tell you more about it later. We had a planned a home birth and our experience at home was beautiful and peaceful. There were some complications during the pushing stage and we eventually had to go to the Valley Medical Birth Center where Rafael was delivered by an emergency cesarean section. Although this was not ideal, we are grateful that Rafael and I are safe and recovering well. We stayed at the Birth Center for 4 days in recovery where we received excellent care and treatment. We are finally home and enjoying this stage of getting to know each other! I am taking a break from my blogging for awhile until I get back on my feet. 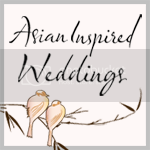 Thank you for reading my blog and for all of your well wishes and support! I am excited for 2010, the year of the Tiger! Rawr! Rafael's 1st Thanksgiving (age 5 days old) from Joanna Dyckhoff on Vimeo. Wow, check out these Buddha shaped pears! They are grown in a special plastic mold created by a Chinese farmer named Hao Xianzhang. Very interesting! While eating this pear, you can't help but slow down and be mindful as you nourish your body. The Sorapot } So Hot! Ok, here's another one for the "I wish I had this on my wedding registry"... Let me pour you some inspiration with the Sorapot, a beautiful, functional and stunning teapot design with sustainable packaging features. The container is a glass tube that showcases the unfurling of your tea leaves and the whole teapot design is so clever. To add the tea leaves, you split the handle and tip the glass tube into a vertical position. Close it back up and add water through the pour spout. Ingenius! Gorgeous! 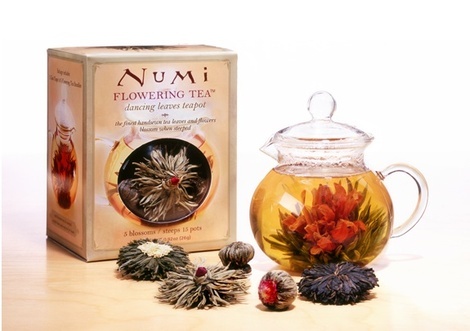 I want one to show case my favorite organic flowering tea! *Update 9-13-08: Buy it in Seattle at Area 51 in Capitol Hil! "I am the Lorax and I Speak for the Trees." Via Sustainable is Good, I learned that one of my favorite organic body care lines, Pangea Organics, will be launching a new kids line featuring Dr. Seuss's eco-friendly character the Lorax! This new line will be available exclusively at Target around May 2009 and will include items such as children’s toothpaste, shampoo, conditioner and more! How exciting! 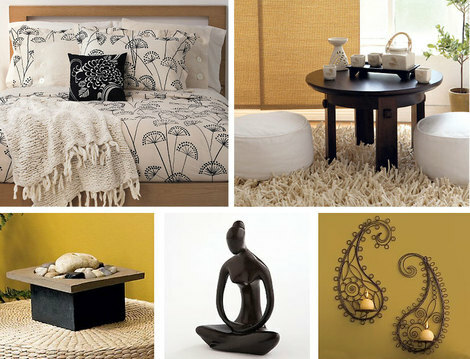 How about helping your mom refresh her personal space with these gorgeous and eco-friendly elements from Gaiam! Sweet and sentimental, this allium inspired organic cotton bedding set, and embroidered fair trade silk chrysanthemum throw pillow, are sure to set a soothing and blissful mood. Create a corner for tea and reflection with this beautiful and sustainable tea table and cushion set. And lastly, help her create a zen atmosphere with a combination of a natural rock & resin fountain, inner peace sculpture and some enlightening paisely wall sconces. Please have a look at these inspiring greeting cards by Compendium. 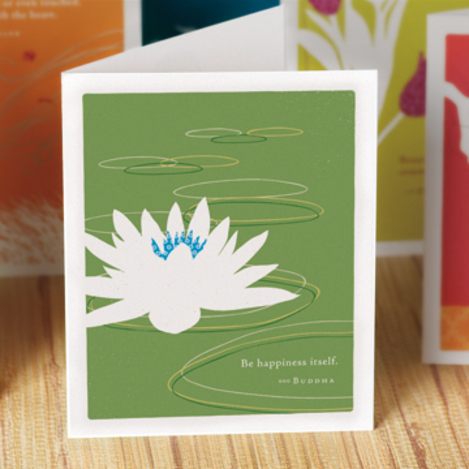 The card shown here has a nice lotus graphic and reads "Be Happiness itself." on the outside and "Be a Birthday." on the inside. There are many other wonderful expressions and best of all of these cards are printed with soy ink and the paper is FSC certified 100% recycled stock. Each card has a different environmental tip on the back and a portion of your purchase goes directly to organizations that protect the environment. The latest online version of Organic Spa Magazine came out and I saw this great spread on the Lather Spa in New York. 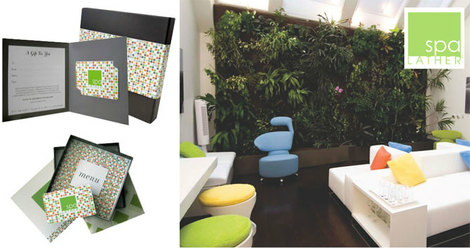 I love the punches of color, the plant wall and the beautiful gift card packaging for those special occasions! Beauty. Utility. Spirit. Oh my goodness, I need to get back out to LA...La Brea Avenue to be specific! 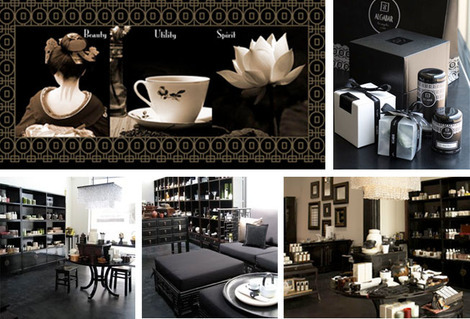 Check out the Algabar Tea and Lifestyle store inspired by modern Chinoiserie and the art of living and giving. 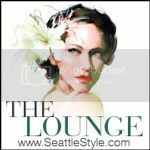 Here you will find a beautifully edited collection of Tea, Home Decor, Fragrance and Gourmet Foods. Algabar also features many unique events like tea and chocolate tastings, global flavor cooking classes, a hot tea bar, MarTEAnis and specialized catering. I love the Algabar philosophy and it's tranquil and modern vibe! 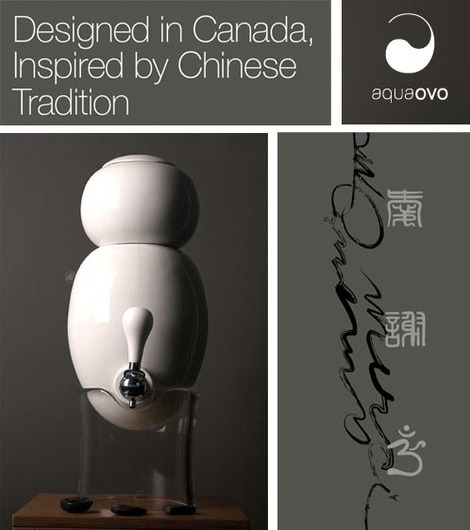 Today, I discovered Ovopur, an environmentally friendly and uber-cool looking water dispenser. 1) Consumes no electricity. 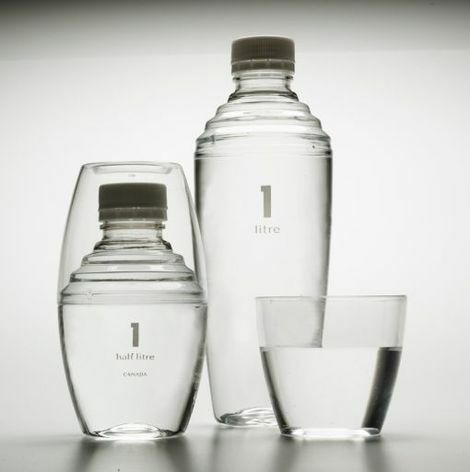 Instead it uses gravity to filter and revitalize tapwater, 2) The unit itself is made of porcelain, glass, and metal, and 3) Features a reusable, multilayer filter cartridge whose contents are 100% recyclable. The main reservoir can hold up to 11 liters of fresh water, with the water level indicated by the magnetic gauge. The filter cartridge uses a combination of KDF 55, activated carbon, microporous bioceramics and quartz crystal to remove impurities from the water. Wowee! This is so global cool! Download the brochure and find out how this ingenious piece of work is inspired by Chinese Tradition. 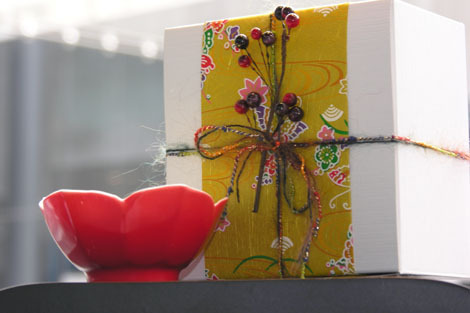 Conscious Gift Giving is what Seattle-based Vegan Divine is all about! With an amazing and creative selection of 100% vegan goods lovingly arranged and sustainably packaged by two lovely sisters you are sure to find the perfect gift to match your ideal values. I have met the eco-divas behind this incredible business and they are absolutely divine! Make sure to place your Valentine's Day orders now! 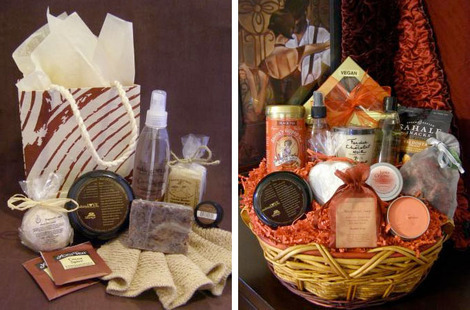 My favorite gift baskets are Chocolate Desires and Exotic Luv! Thanks Santamrit and Simran! 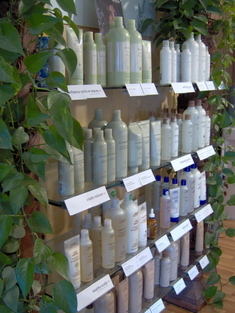 If you've ever been to an Aveda Concept Salon or an Aveda Retail Store you'll know why I love Aveda. 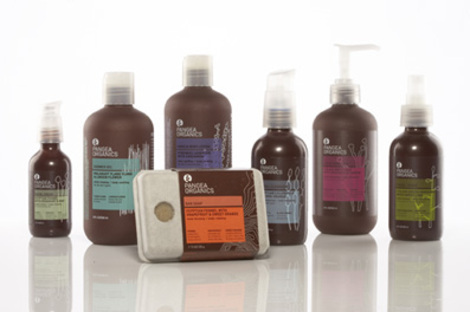 The Aveda approach to beauty, wellness, aromatherapy & ecology is so inspiring. When you go into a retail store you are offered hot tea and a complimentary hand massage. When you have a styling appointment at the salon you receive a scalp and neck massage with essential oils before your service, and a hand/arm massage while your hair is being shampooed/ conditioned. Aveda's environmental mission is displayed everywhere and even the stylists and sales staff are excited to talk about the environment while showing you the latest things in hair and makeup. I personally love Aveda's fragrance and makeup lines (especially the Uruku Lip Color Line.) 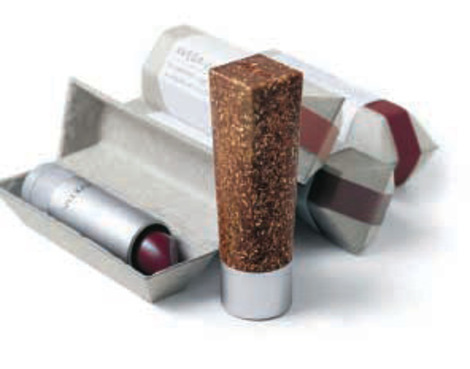 The makeup products are stylish, simple, sustainable, great smelling, great tasting, and beautifully packaged. This goes for all of Aveda's products and services! Aveda also has a really cool Pure Privilege program where you can rack up points to score really cool green products and service. I'm saving my points up for the Destination Spa Stay in Jamaica. I had the chance to work with Aveda in a third party kind of way when I designed last year's Earth Month collateral for the Columbia Riverkeeper, Aveda's 2007 west coast environmental partner. Recently, after Christmas while redeeming some gift cards, I found out that Aveda is now 100% Wind Powered! Another reason to love Aveda! The company has funded wind turbines that generate enough wind energy to offset 100% of the electricity used by Aveda's primary manufacturing facility in Minnesota. 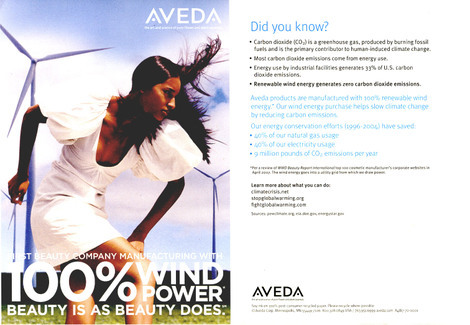 The best part about this wind power push is Aveda's super couture looking ad campaign! I just love the juxtaposition of beauty, style and environmental concern! Beauty is as Beauty does. I love it! For your home spa, take cues from the ryokan, a traditional Japanese inn. 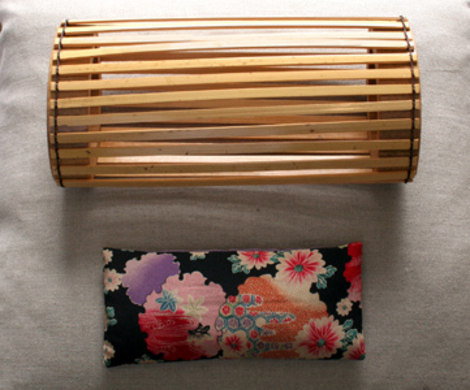 Rest your neck on this shiatsu pillow made with bamboo slats and soothe your shopping sore eyes with this eye pillow made with kimono silk and filled with lavender and flaxseed. Available at Takashimaya NY. Greetings all! I am taking a break for a while to refocus my energies. My transition into the Fall season has been a bit rough and I am feeling unbalanced. I hope that we all will take the time to center ourselves as we get ready for the cold and heavy changes in the season. In the meantime try some of these Mudras, (gestures or yoga for your hands) for some simple mindfulness. You can also bring more health and peace into your life - and into the world - by reflecting on this mantra for loving kindness and listening to some peaceful music. And may I learn to live gently in the softness of my own heart. And may they learn to live gently in the softness of their own hearts. And may we all live gently in the softness of our own hearts. Ah, tomorrow's my 32nd birthday and I'm reminiscing about my two business trips to New York last August. 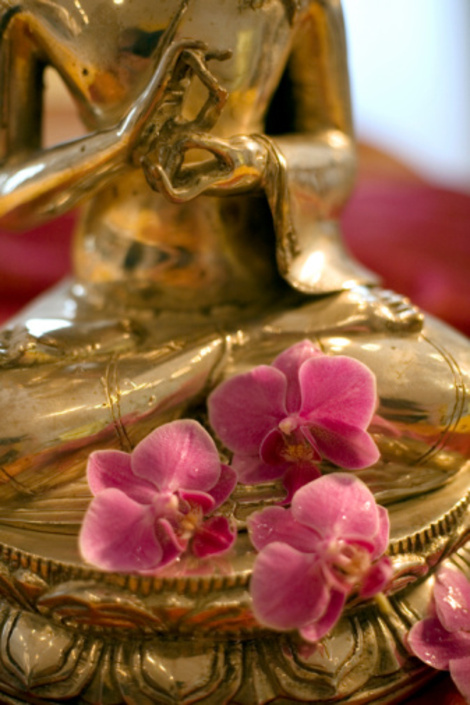 During my second trip, I splurged on a glorious 60 minute Ayurvedic Spa Treatment at the New York Chopra Center. I have a little knowledge of Ayurveda and have read many of Deepak Chopra's books so it was a real treat to be in the physical presence of these sacred philosophies and rituals of wellness. 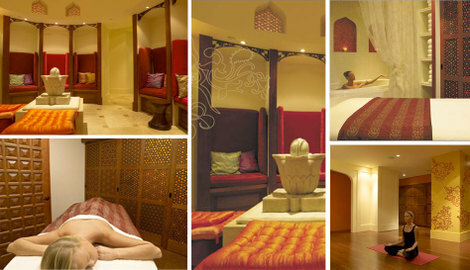 The spa itself is absolutely beautiful and I felt so at home with the fusion of ancient and modern. 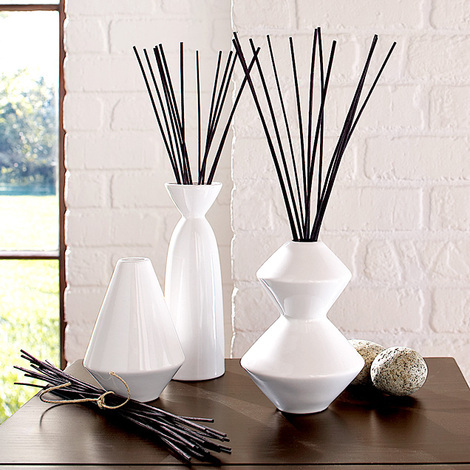 Even the aroma of the essential oils and orange mint water, have left a lasting impression on me. 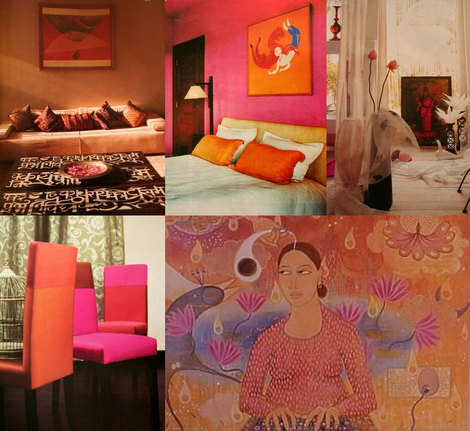 As you can see from the pictures, the colors and architecture are so...umm...me! Wish I could zoom there right now...Have a restful weekend! Wee Generation is a unique collaborative partnership between Seventh Generation, Healthy Child Healthy World, and Babystyle. Along with eco-designers William McDonough and IDEO, they have teamed up to create the world's first and only 100% sustainable Cradle-to-Cradle Certified baby bag. Parents, grandparents and care-givers, log on to let them know what features and materials you've always wished your own baby bags had. Make sure you sign up to be on the list so you'll be the first to know when the "it" bag makes its debut. 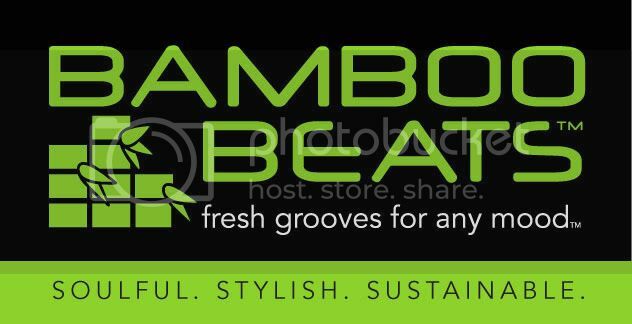 I think this is a great concept with the right folks involved. Can't wait until I have kids!! !